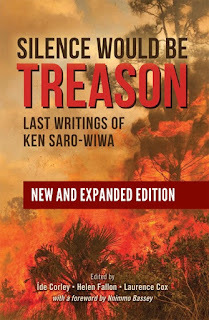 Academic Writing Librarian: Maynooth University launches online revised edition of "Silence Would be Treason: Last Writings of Ken Saro-Wiwa"
Maynooth University launches online revised edition of "Silence Would be Treason: Last Writings of Ken Saro-Wiwa"
I'm really thrilled that we have been able to work with Daraja Press to produce an open access version of Silence Would be Treason: Last Writings of Ken Saro-Wiwa. The original death-row correspondence of Ken Saro-Wiwa to Sister Majella McCarron (smuggled out of military detention in bread baskets) in held in Maynooth University Library. 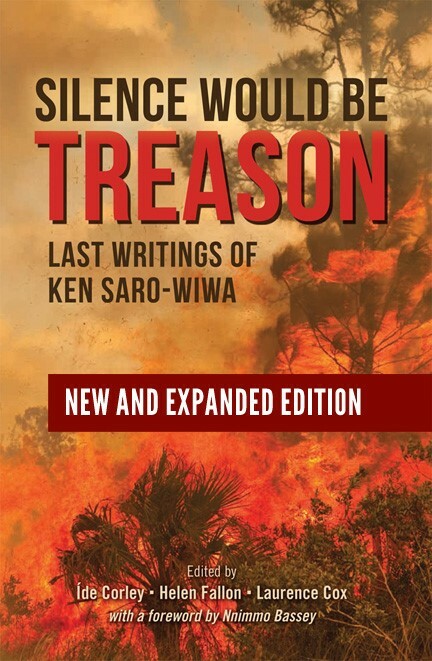 The book can also be downloaded from our Ken Saro-Wiwa Library Guide.